What is the most important information I should know about delavirdine? Delavirdine must be given in combination with other antiviral medications and it should not be used alone. Some medicines can cause unwanted or dangerous effects when used with delavirdine. Tell your doctor about all your current medicines and any you start or stop using. 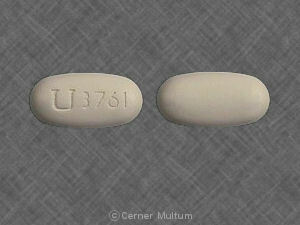 Delavirdine is an antiviral medicine that prevents human immunodeficiency virus (HIV) from multiplying in your body. Delavirdine is used to treat HIV, the virus that can cause acquired immunodeficiency syndrome (AIDS). Delavirdine is not a cure for HIV or AIDS. Delavirdine may also be used for purposes not listed in this medication guide. What should I discuss with my healthcare provider before taking delavirdine? You should not use delavirdine if you are allergic to it. Using any of these medicines while you are taking delavirdine can cause serious medical problems or death. if you have ever taken any HIV medication that was not effective in treating your condition. How should I take delavirdine? You may take delavirdine with or without food. If you have a condition of low stomach acid, your doctor may recommend taking delavirdine with an acidic beverage such as orange or cranberry juice. The 100-milligram delavirdine tablets may be dissolved in water to make swallowing easier. Place 4 tablets into at least 3 ounces (just under 1/3 cup) of water. Let the liquid stand for a few minutes, then stir to allow the tablets to disperse evenly in the liquid. Drink this mixture right away. To make sure you get the entire dose, add a little more water to the same glass, swirl gently and drink right away. The 200-milligram delavirdine tablets must be swallowed whole. Do not crush, chew, or disperse the tablets in water. While using delavirdine, you may need frequent blood tests. Use delavirdine regularly to get the most benefit. Get your prescription refilled before you run out of medicine completely. What should I avoid while taking delavirdine? Avoid taking an herbal supplement containing St. John's wort at the same time you are taking delavirdine. Avoid taking an antacid within 1 hour before or after you take delavirdine. Some antacids can make it harder for your body to absorb delavirdine. What are the possible side effects of delavirdine? Stop using delavirdine and call your doctor at once if you have a severe skin reaction --fever, sore throat, swelling in your face or tongue, burning in your eyes, skin pain followed by a red or purple skin rash that spreads (especially in the face or upper body) and causes blistering and peeling. What other drugs will affect delavirdine? medicine to reduce stomach acid. This list is not complete and many other drugs can interact with delavirdine. This includes prescription and over-the-counter medicines, vitamins, and herbal products. Not all possible interactions are listed in this medication guide. Tell your doctor about all medicines you use, and those you start or stop using during your treatment with delavirdine. Give a list of all your medicines to any healthcare provider who treats you. Your pharmacist can provide more information about delavirdine. Copyright 1996-2017 Cerner Multum, Inc. Version: 9.01. Revision date: 10/21/2016.